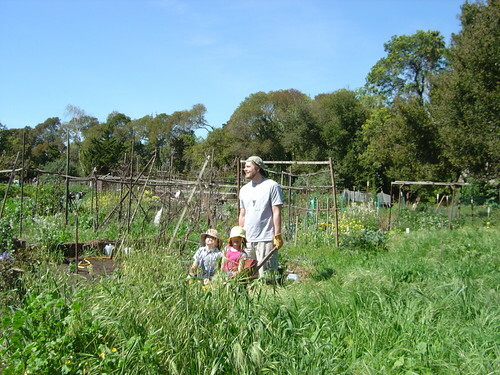 Our town has an incredible program where you can lease a small plot of land to garden for a very low rate. We live in a small apartment sans outdoor space, so we took advantage of this until I got too big in my last pregnancy to be of any use. We grew sunflowers, leeks, artichokes, raspberries, at least six different varieties of tomatoes, cucumbers, corn, peppers, numerous herbs… the list goes on an on. We loved it. I miss my garden very much.